From the mind of Inês Martinho, comes the equilibrium between metal and stone. The Moon table's versatility is key when mounting a sensible setup. 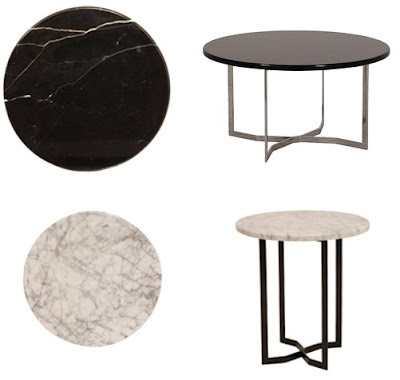 Round marble tops, different finishes and heights make it possible to conjugate two or more tables together seamlessly.